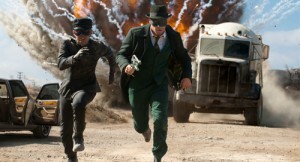 The Green Hornet Announced For Bluray and is Paced With Extras!!! Sony made the announcement early to retailers that The Green Hornet starring Seth Rogen will be available on bluray and DVD on May 3rd. The release will also include a bluray 3d/bluray/dvd combo pack release. “The Blu-ray will feature 1080p video, a DTS-HD Master Audio 5.1 soundtrack, and supplements will include: Filmmakers’ Commentary, Jay Chou Audition, Double Barrel, “Awesoom”-Gag Reel, Writing The Green Hornet, and The Black Beauty: Rebirth of Cool. 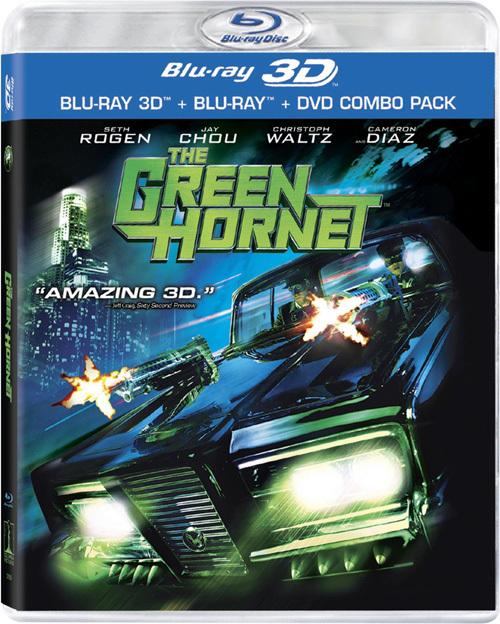 Blu-ray exclusives will include: The Green Hornet Cutting Room,”Trust Me” -Director Michel Gondry, PS3 Theme, The Stunt Family Armstrong, Finding Kato, The Art of Destruction, and movieIQ. I am looking forward to this release. It is going to look great and sound amazing. I bet it is demo worthy. Beverly Hills Cop Announced For Bluray!!! This entry was posted on Monday, March 7th, 2011 at 10:39 pm	and is filed under Film, News. You can follow any responses to this entry through the RSS 2.0 feed. You can skip to the end and leave a response. Pinging is currently not allowed. « Beverly Hills Cop Announced For Bluray!! !